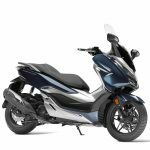 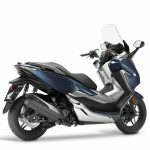 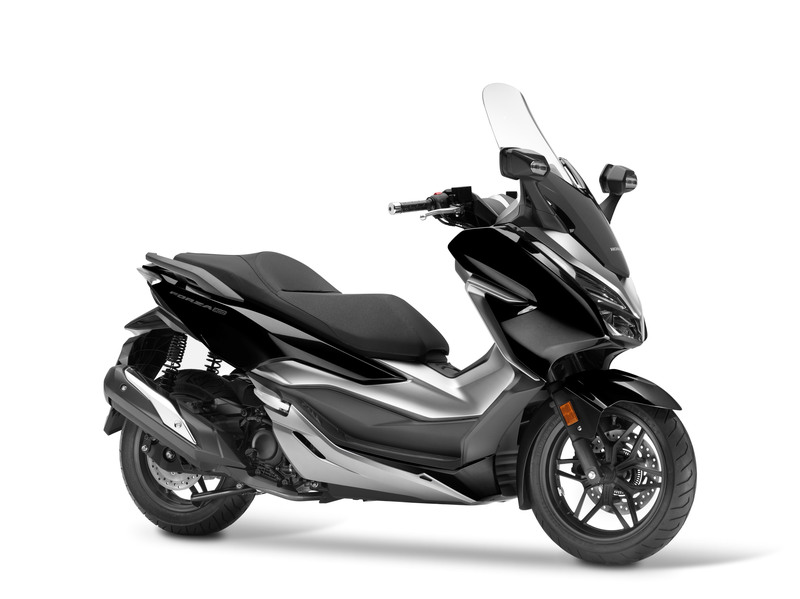 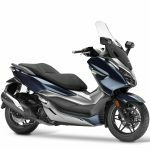 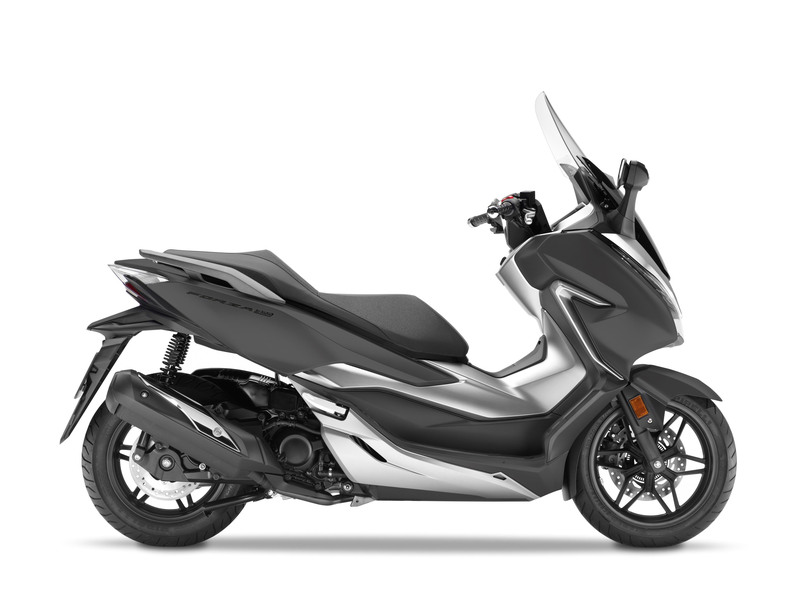 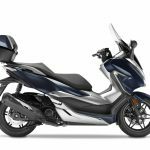 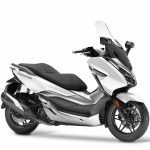 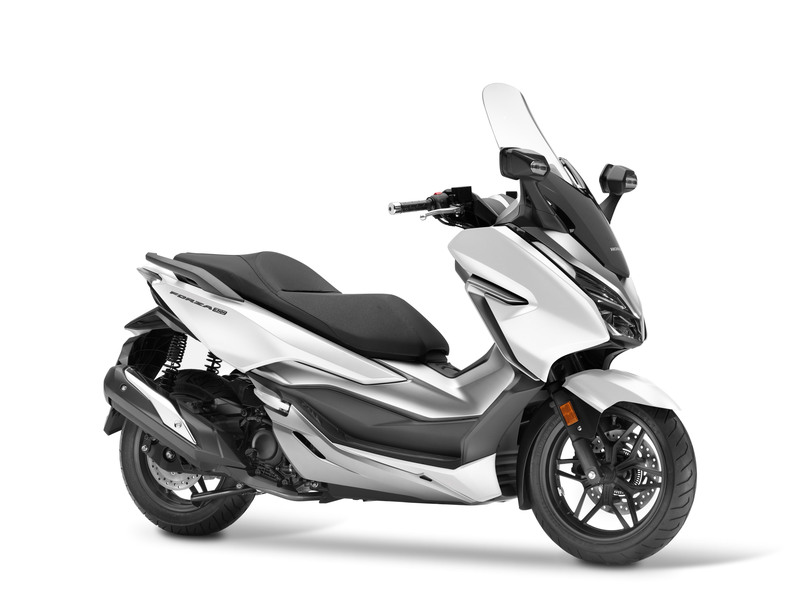 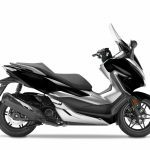 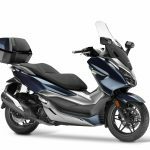 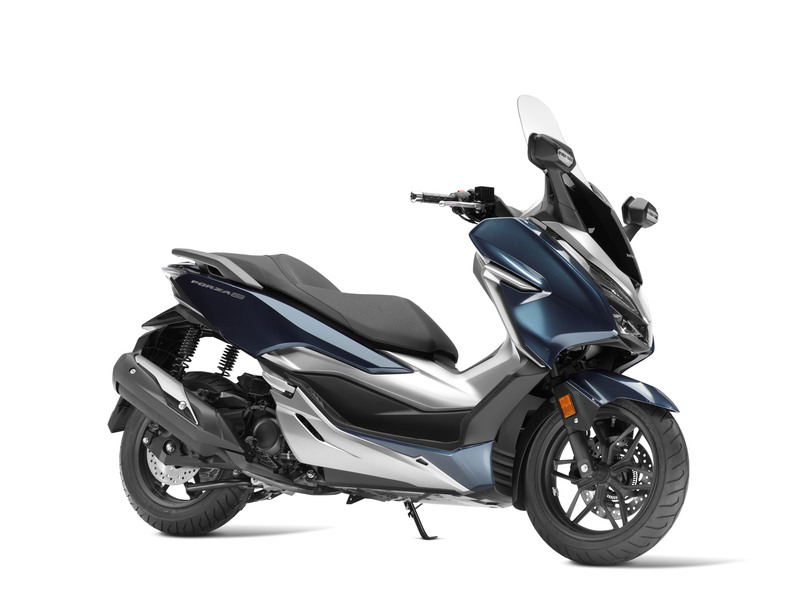 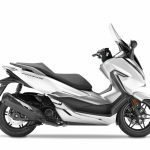 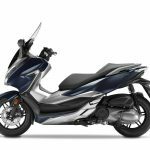 Honda has revised its Forza 300 scooter for Europe, introducing traction control, a redesigned chassis and a 26-pound weight reduction. 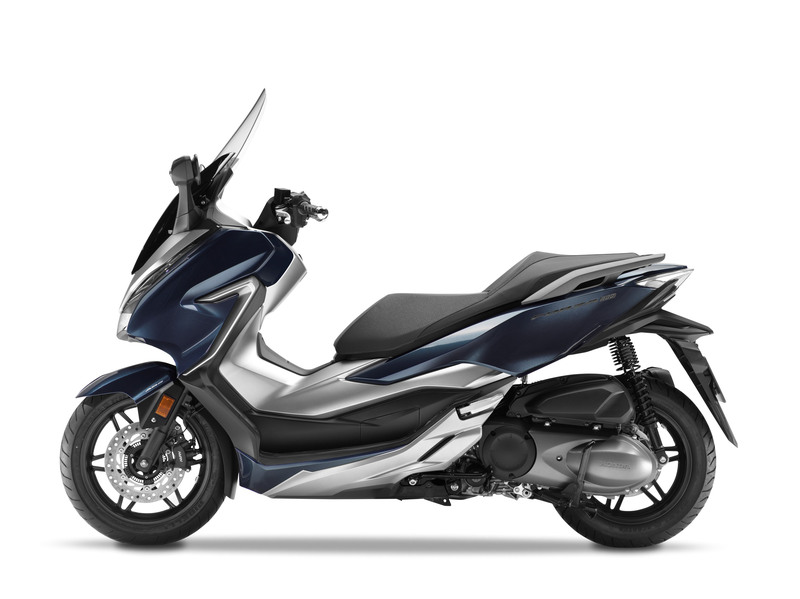 Unfortunately, it doesn’t look like the 2018 Honda Forza 300 is coming to the U.S., where it was last offered in 2016. 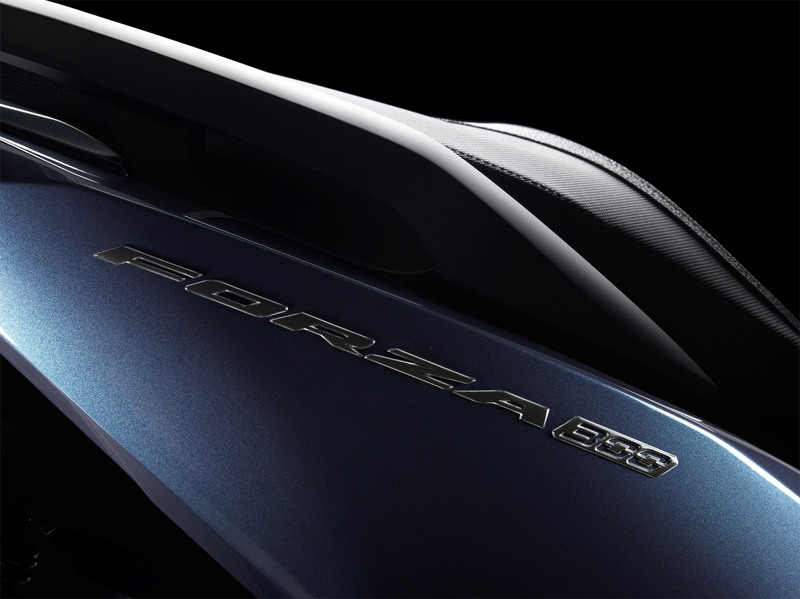 In Europe, however, the Forza line has been fairly successful. The smaller Forza 125 model, in particular, has sold 30,000 units since its introduction three years ago, so it’s not a surprise its sharper lines influenced some of the visual changes of the 300 version. 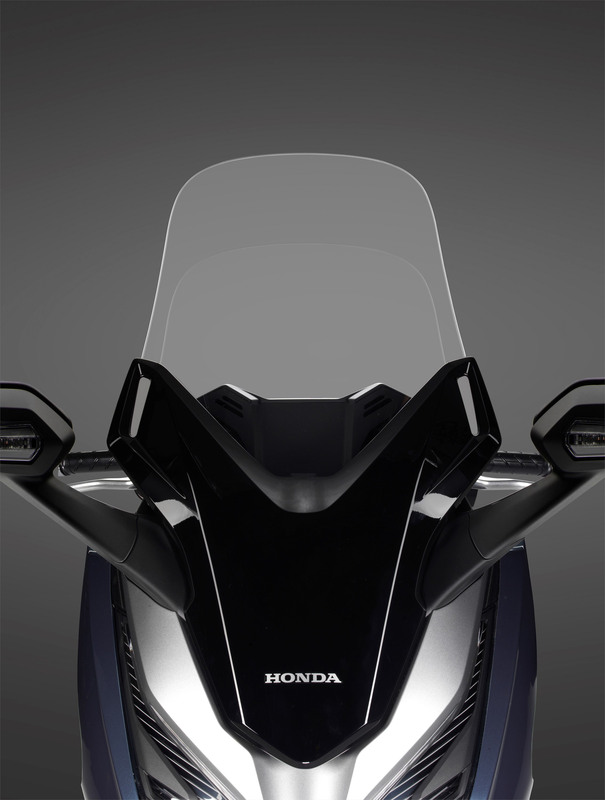 Honda designed a new tubular steel frame that helped reduce the Forza 300’s claimed wet weight to 401 pounds. 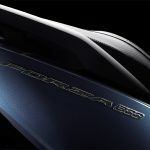 The revised chassis also shortened the wheelbase by 1.4 inches to 59.4 inches. 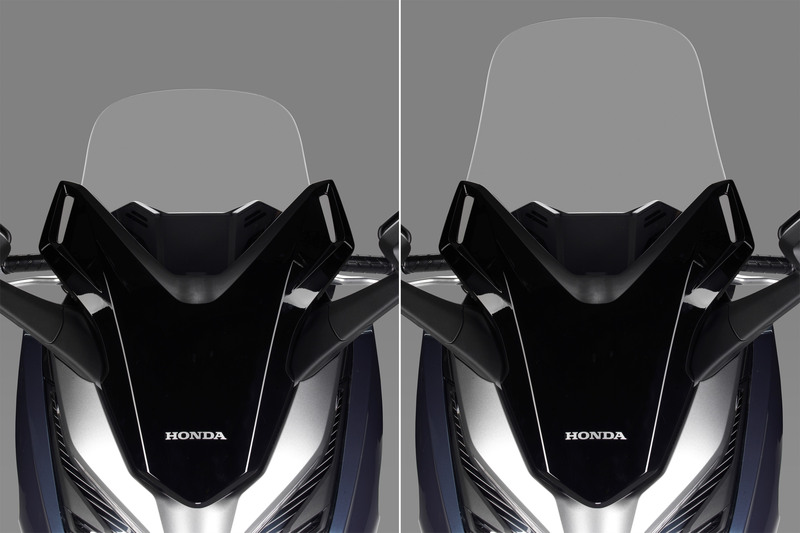 The front end is a half a degree steeper at 26.5°, shortening the trail slightly to 3.5 inches. 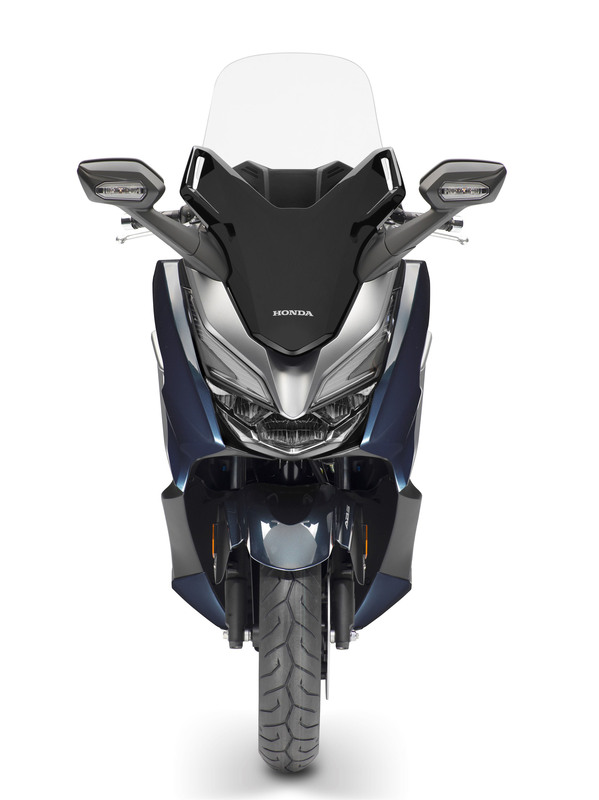 The 2018 Forza 300 is also narrower than the 2017 model, making it easier to lane split through traffic. 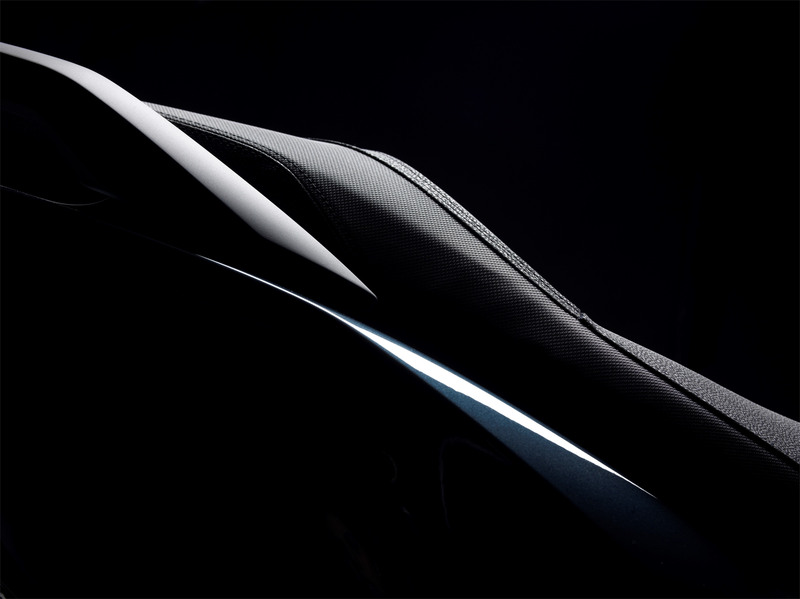 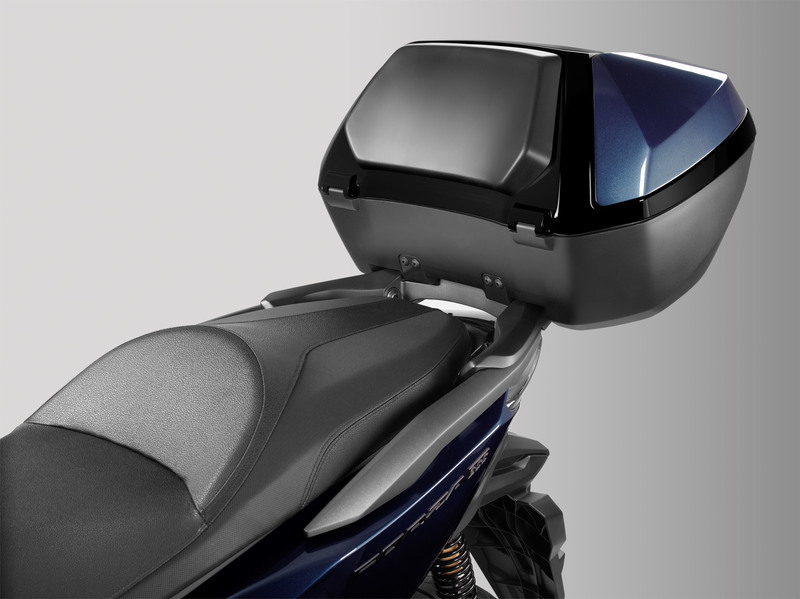 At 30.7 inches, the seat height is also a couple of inches taller than the previous model. 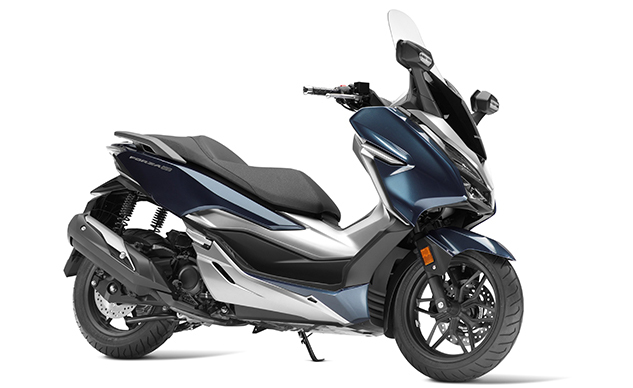 The updated Forza rides on larger cast aluminum rims, a 15-inch front wheel and a 14-inch wheel at the back (compared to 14 inches/13 inches on the previous model). 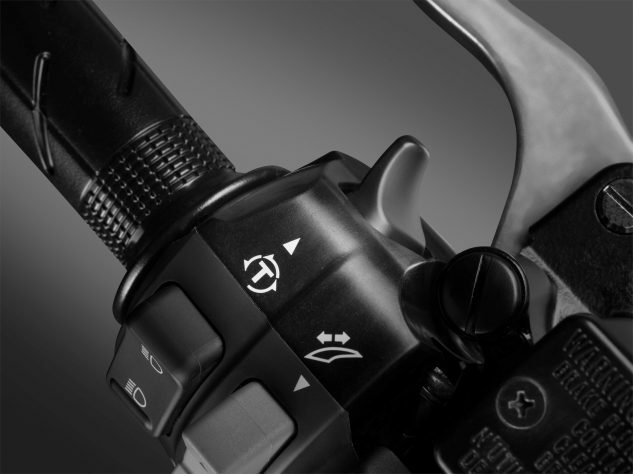 The 33mm telescopic fork is slimmer than the 35mm units on the old Forza, while the twin rear shocks now offer seven stages of spring preload adjustment. 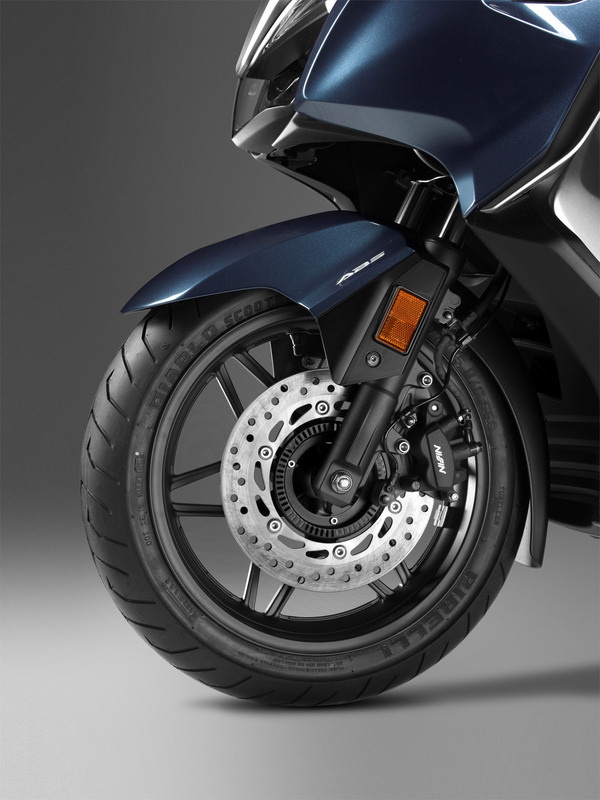 A single 256mm brake disc is mounted on the front wheel while a 240mm disc is used on the rear. 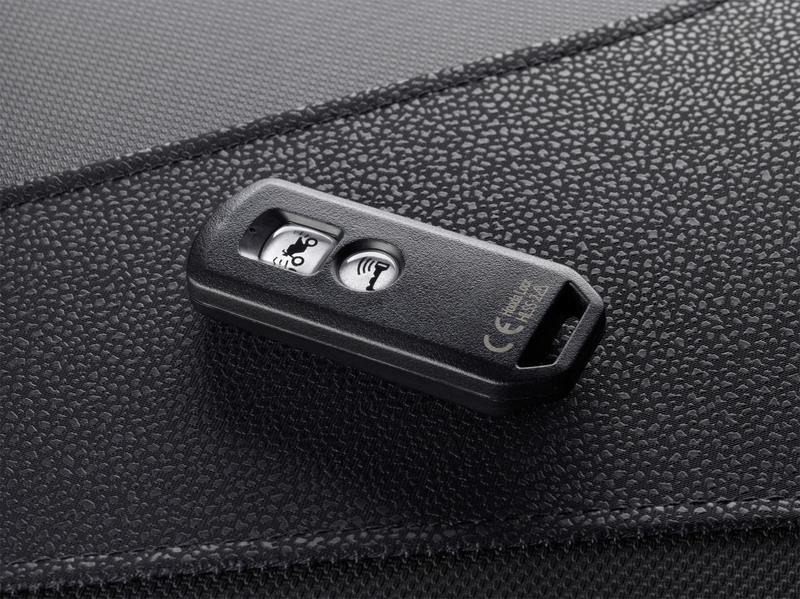 A two-channel ABS comes standard. 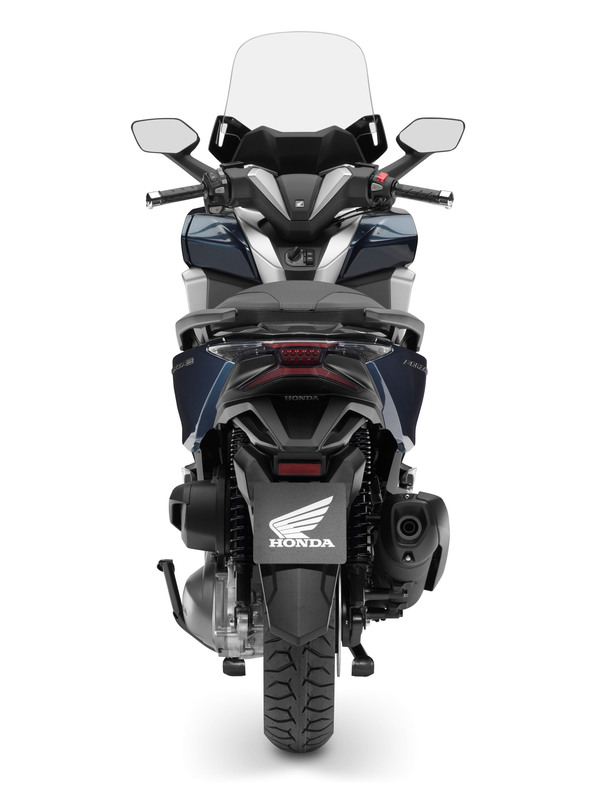 The engine remains the same 279cc liquid-cooled fuel-injected SOHC four-valve Single as the 2017 model. 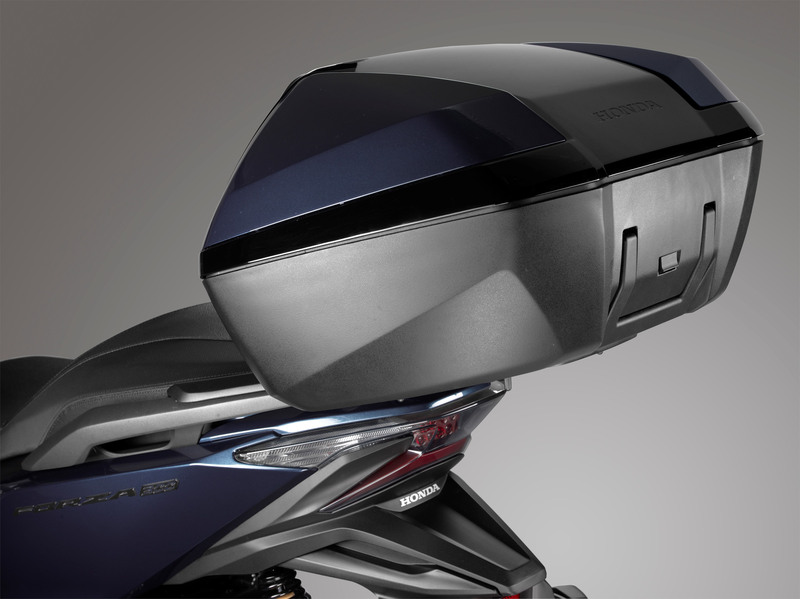 Claimed peak power output is 24.8 hp at 7000 rpm, while torque maxes out at 20.1 lb-ft. at 5750 rpm. 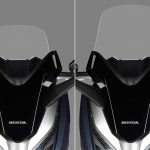 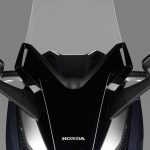 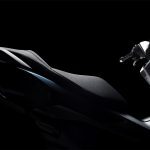 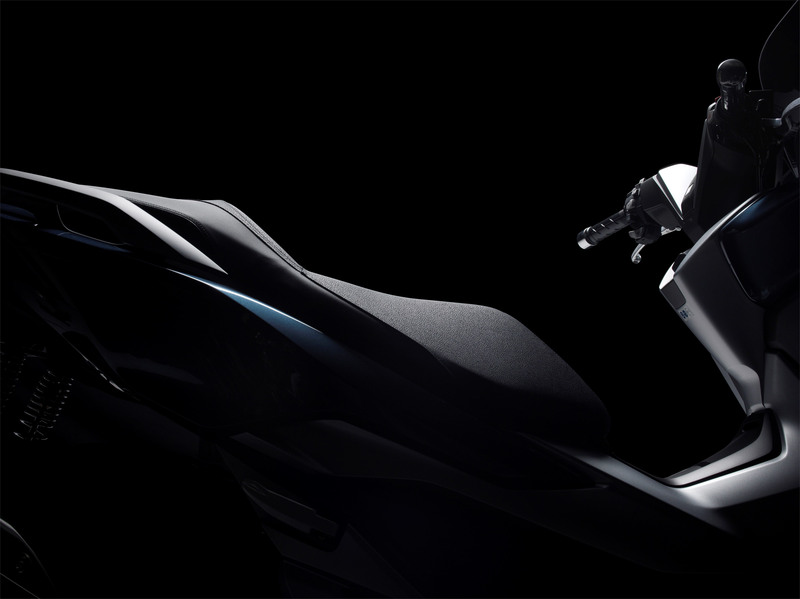 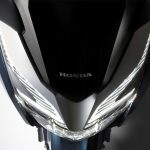 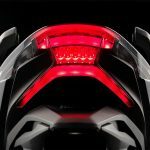 The Forza 300 will be the first Honda scooter with traction control. 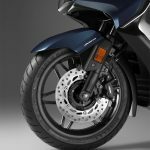 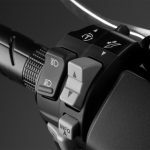 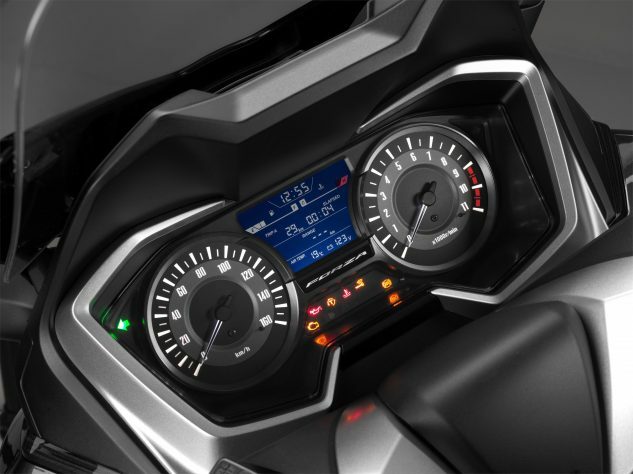 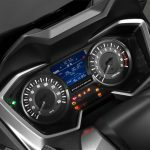 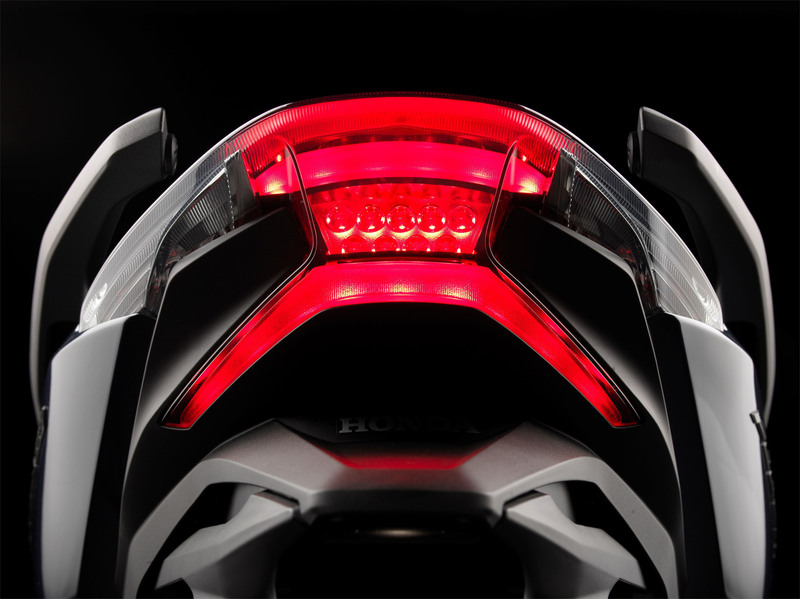 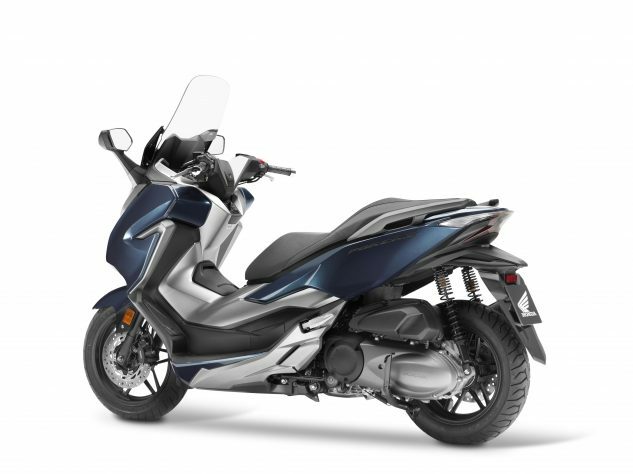 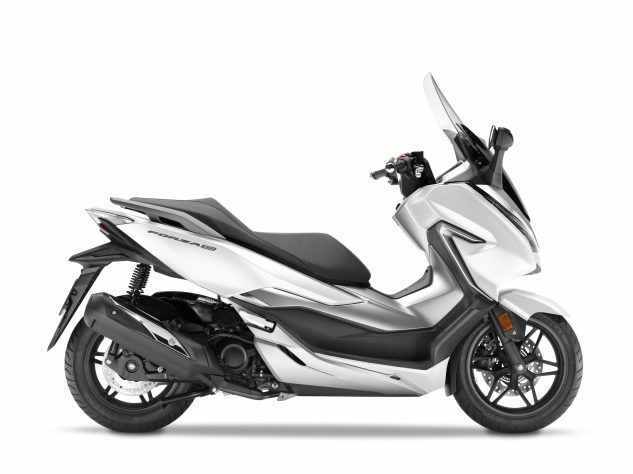 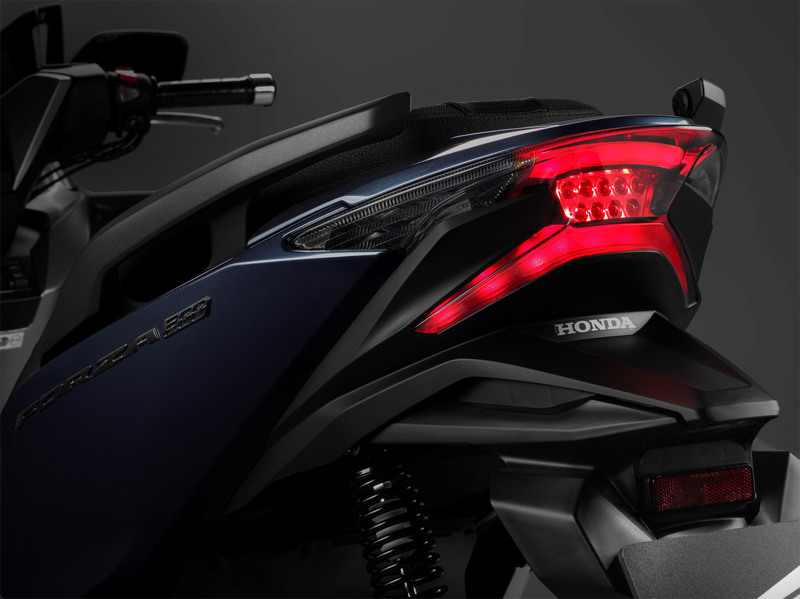 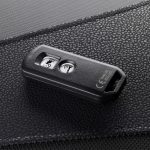 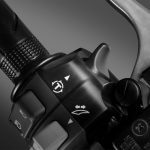 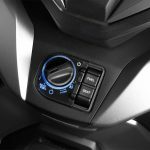 The switchable Honda Selectable Torque Control system continuously monitors front and rear wheel speeds, calculates the slip ratio and then moderates engine torque to maintain traction. 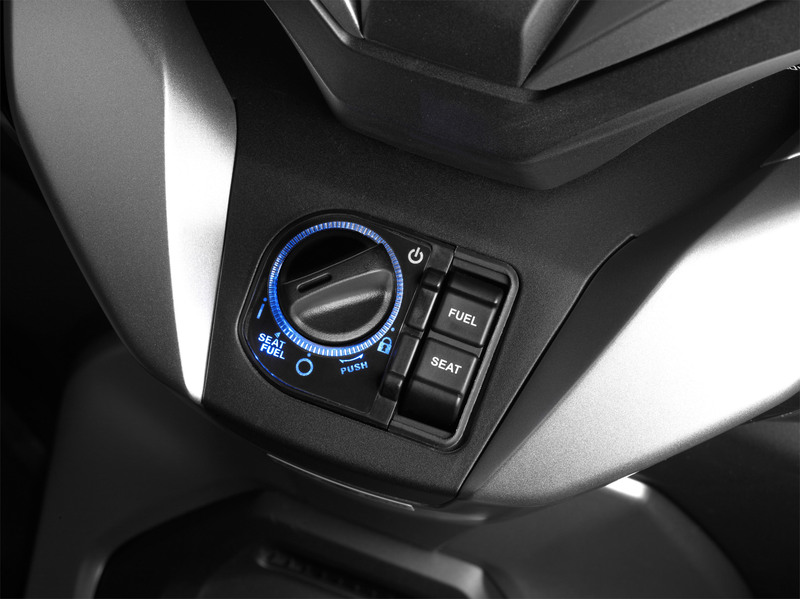 The T symbol marks the switch for the traction control system. 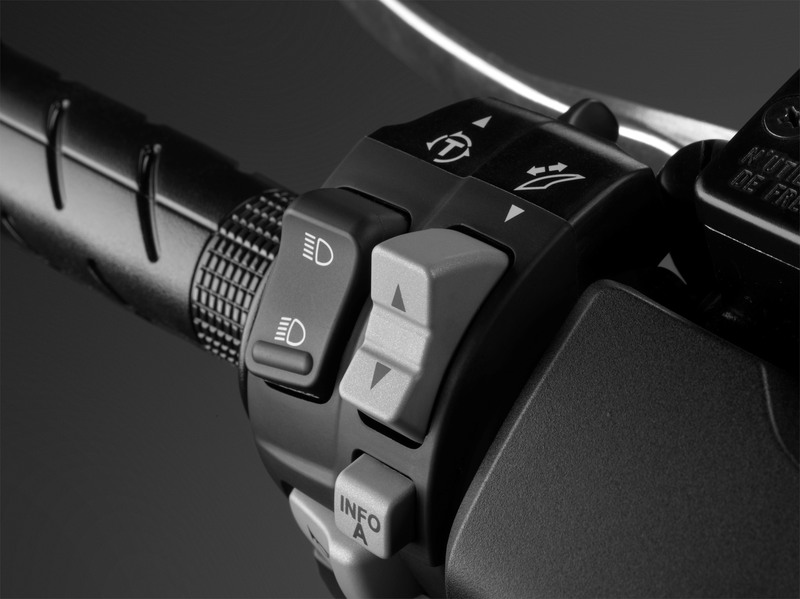 The light gray switch controls the windscreen height. Honda claims the Forza 300 gets 72.9 mpg. With a full three-gallon tank, that translates to a claimed range of 218.7 miles. 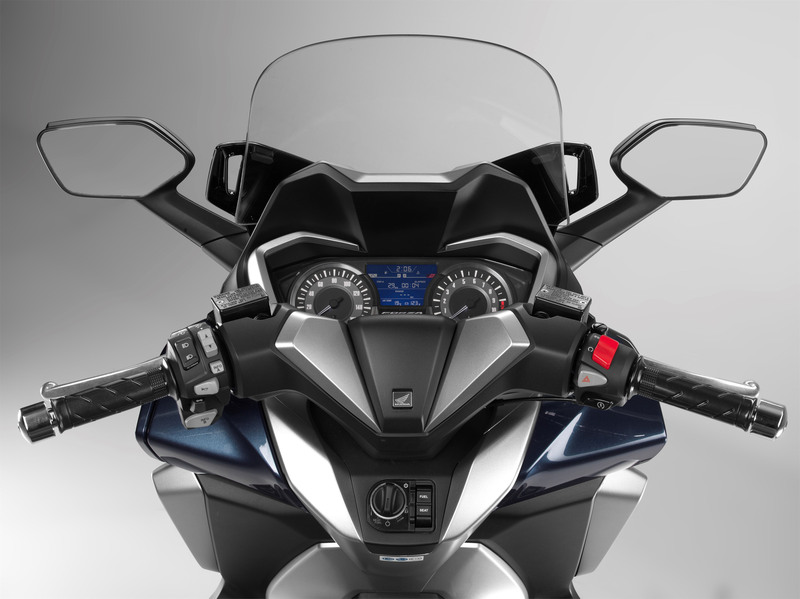 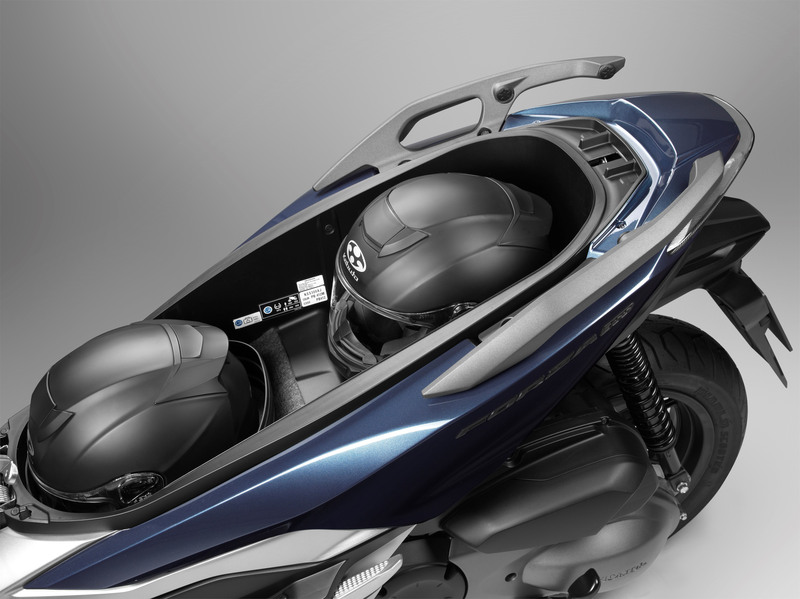 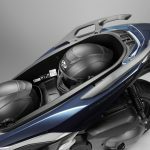 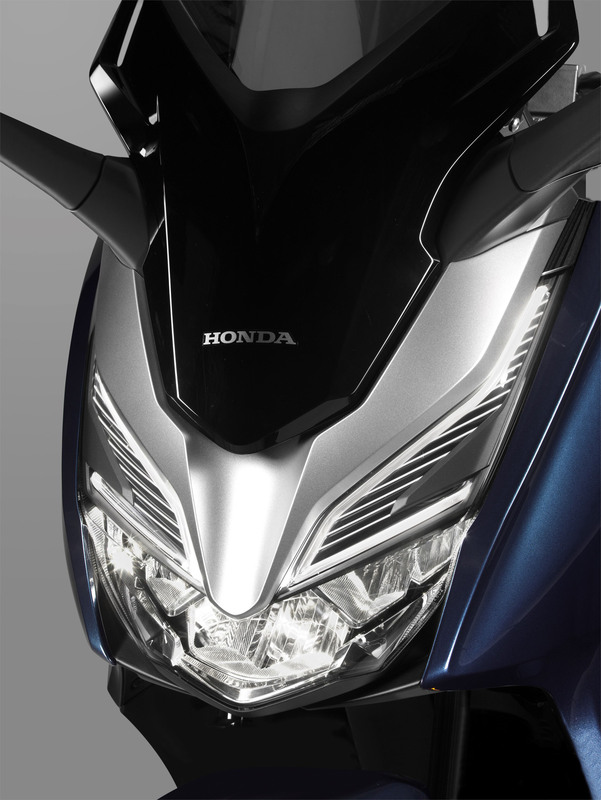 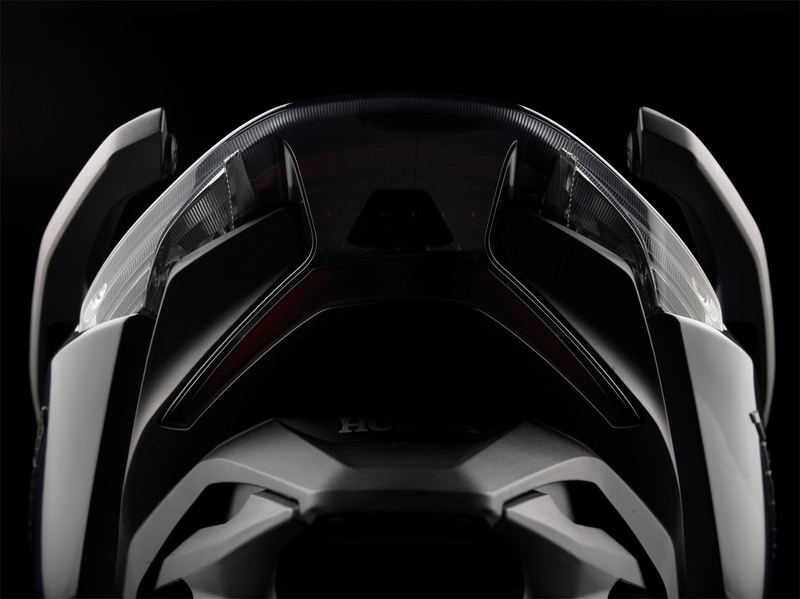 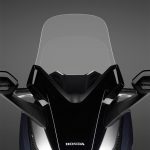 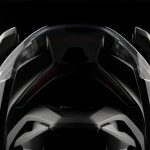 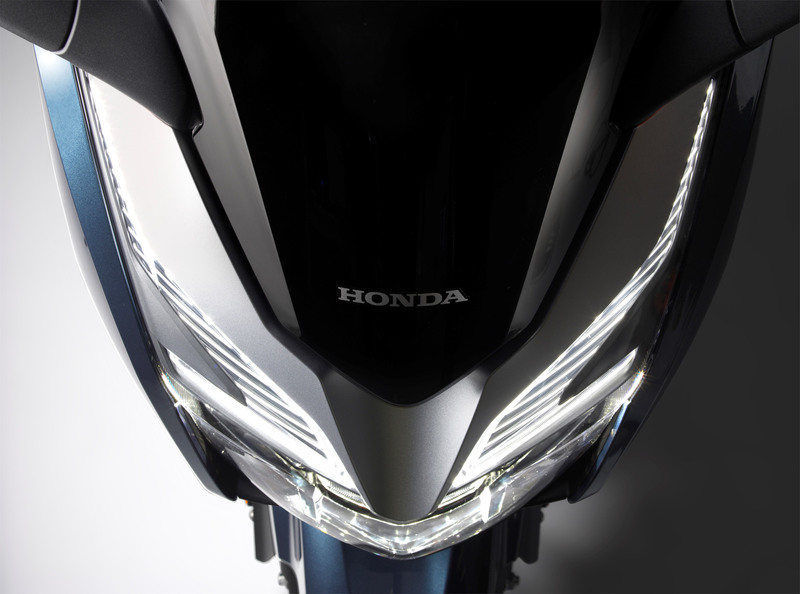 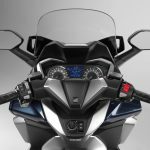 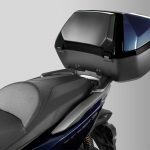 Other features include a new electronically adjustable windscreen, revised instrumentation, LED lighting, a Smart Key system and an under-seat storage space that can hold two full-face helmets. 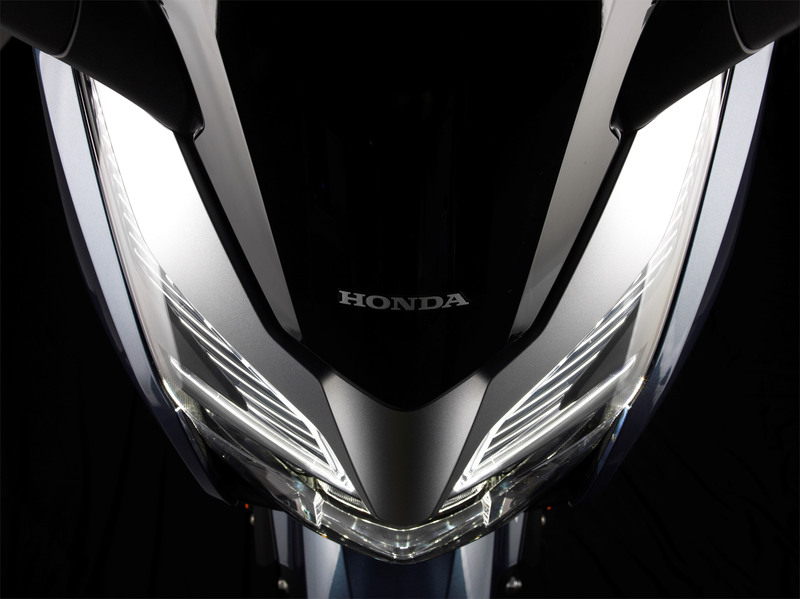 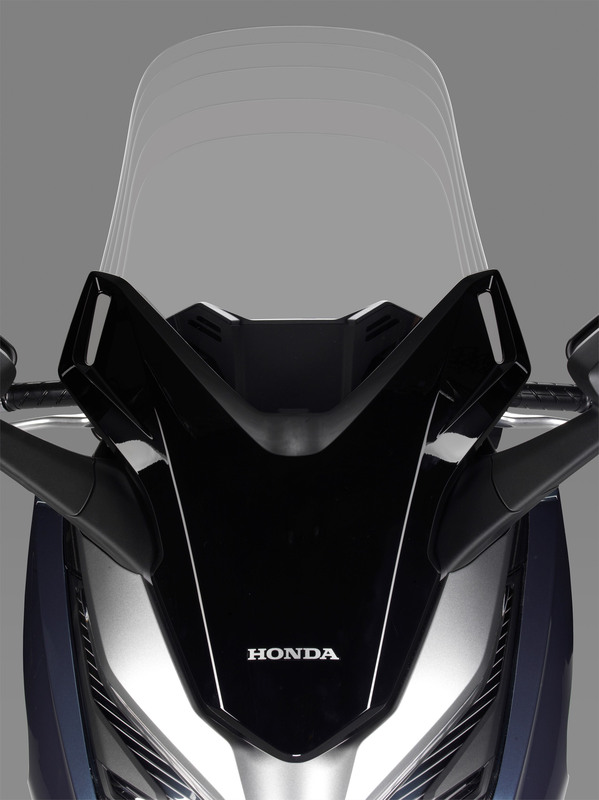 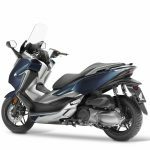 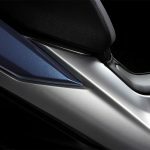 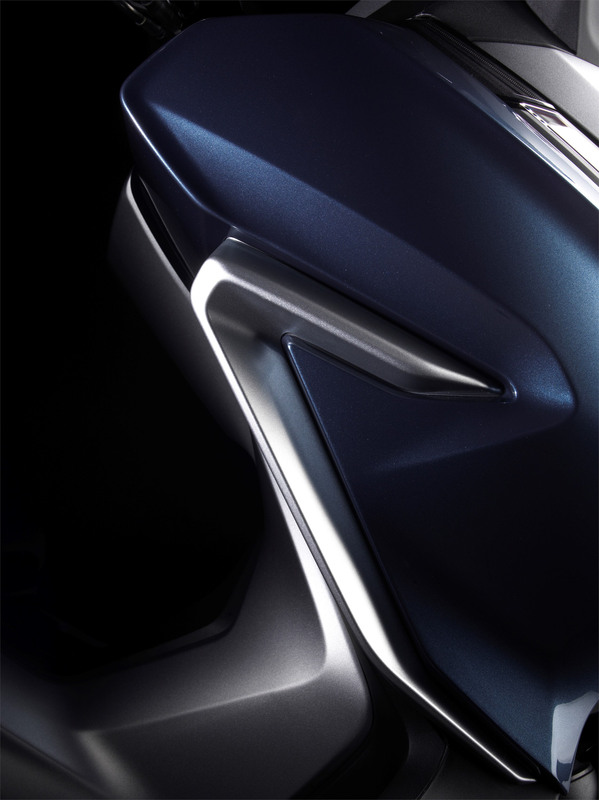 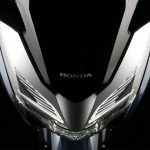 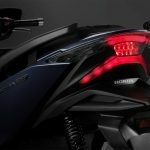 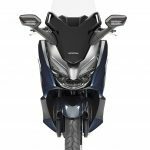 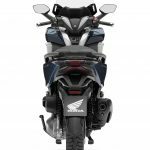 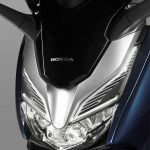 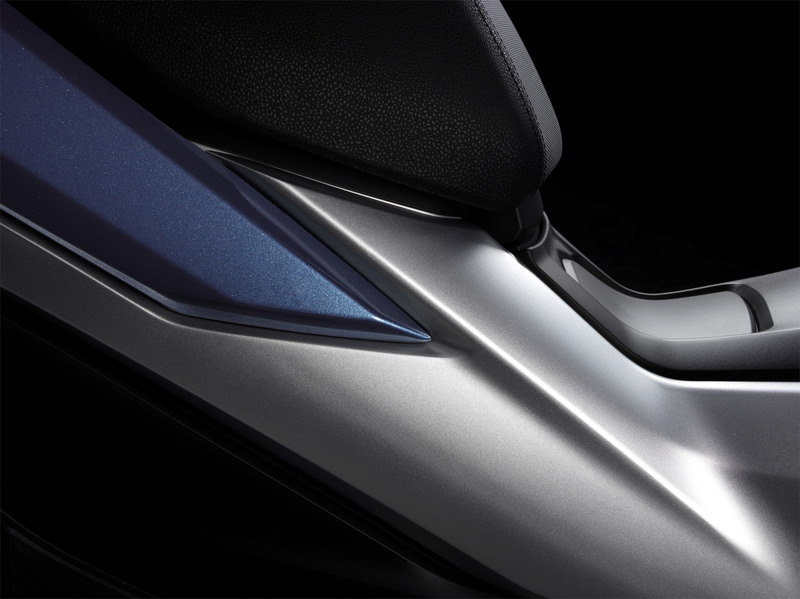 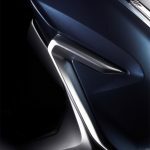 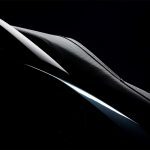 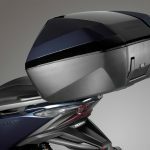 The 2018 Honda Forza 300 will be offered in four paint options: Crescent Blue Metallic, Pearl Nightstar Black, Matt Cynos Grey Metallic and Matt Pearl Cool White.